For an arcade racer of this variety, focusing on over-the-top track designs and stunts was the right call. Not only does this approach further distinguish this series from sister series Forza Motorsport, it creates more racing variables and a hell of a lot more excitement for the people behind the wheel. Forza Horizon has always delivered unconventional racing, such as a car taking on a biplane, but this sequel ups the insanity tenfold. I was shocked if a race didn’t send cars roaring over jumps, through white-picket fences, into vast pools of water, or onto unexpected dirt paths. One race pits a buggy against a jeep, but the jeep is dangling precariously from an army helicopter flying dangerously through a forest. Another race has a Lamborghini racing a fleet of speedboats – and the Lamborghini actually races on the water at one point. 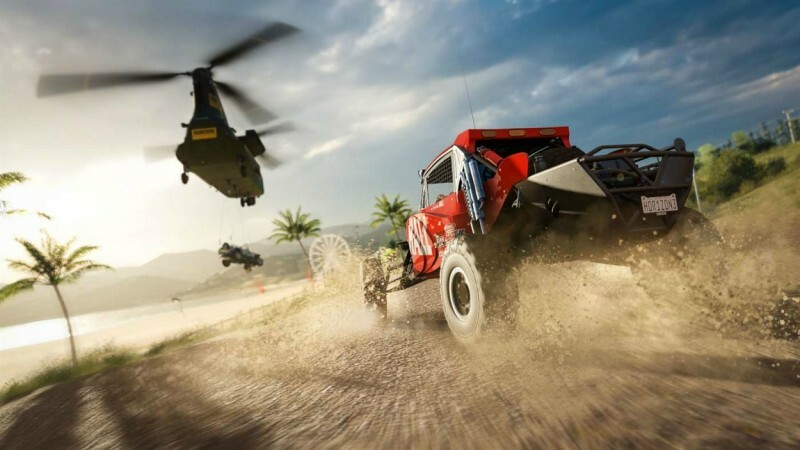 Other activities include launching expensive sports cars as far as you can, drifting like a bat out of hell on busy streets, and tearing up farmers’ fields or wetlands to hunt for hidden cars. Most of these activities are fun, and the world has nice variety as you bounce from event to event. Most races are awesome adrenaline rushes, and you can play them however you see fit. Outside of set Bucket List Challenges, which force you into driving one car for a fun one-off challenge, you can bring almost any ride into races and championship series. If you don’t like the weather conditions or number of laps, you can change them using the new Blueprint feature to sculpt the scenario that best suits your needs. There is no penalty for this, and you still reap all of the rewards. You can experience this game however you want, and that’s a smart move by Playground. I was able to use the car I saved up for as much as I wanted in the conditions that made sense for it, and I could almost tweak my favorite events to make them feel somewhat new again. 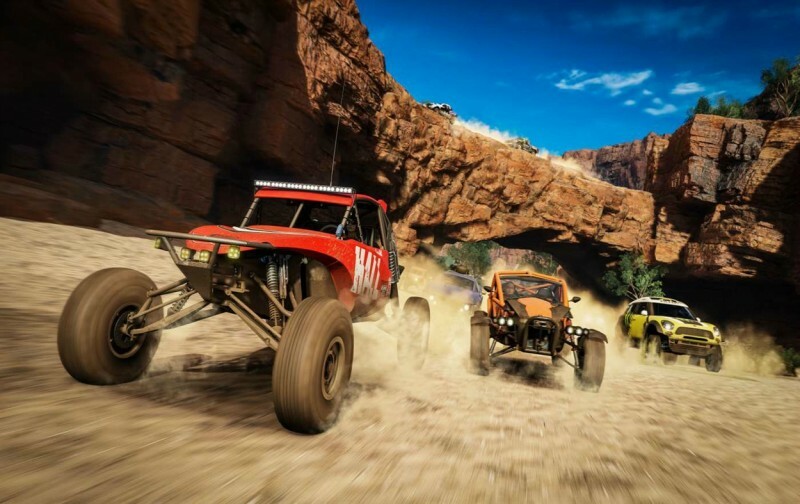 While suffering from the typical open-world problems of some tracks sharing too much of the same design, random traffic creating problems, and the player having to drive great distances to reach destinations, most of the racing and diversions are superbly crafted. The open world is sparse in the early parts of the campaign, but quickly ramps up to an almost overwhelming number of options as you progress. The racing mechanics remain grounded in reality, offering a game focused on driving precision rather than using powerups to gain an edge. The guided waypoint system can be a little hard to see on the track at times, but the bright flags are easy to spot, and I found myself looking more at the world than the path that was telling me where to line up my car and when to brake. Every car I played controlled admirably, and brought different challenges. You’ll approach turns in supercars in a different way than you will classic rides. The off-road racing is some of the best I’ve experienced in a game, mostly due to how greatly terrain variations alter your speed and movement. The player is continually rewarded through every second of play, even for driving poorly. If you accidentally veer off of the track and smash into a trash can, you'll gain bonus points for destruction. You can earn experience points for just about everything you do, and they eventually lead to a feast of rewards that can include skill points, new cars, and the size of a festival expanding. When a festival expands, new events appear throughout the world. This is one of those games that continually made me smile while I played, not just for the extensive unlocks, but just from the sheer insanity and fun of the races. 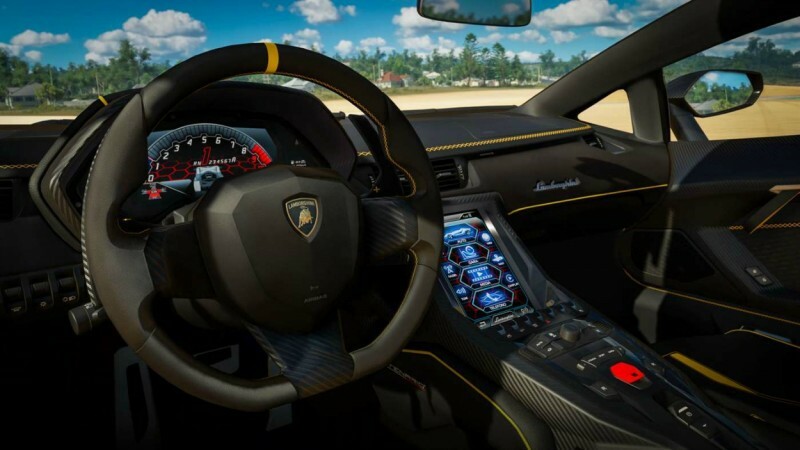 It also allowed me to dive deep into customization to sculpt the game and performance to my liking, from easy-to-understand tuner options to quickly being able to jump into different cars. Best of all, the entire experience can be played with friends. Along with 12-player competitive races and free-roam, the campaign accommodates four co-op players simultaneously. You can drop in and out, and all of your progress is saved. The races are even more rewarding with friends at your side, as your team’s collective points count toward victory. The races are also more challenging, since the rewind functionality (which basically gives you mulligans) is disabled. You have to race well, which can be tricky with rambunctious friends sharing the lane. Just know this: You have to play a couple hours to unlock the online functionality. The biggest misstep is the head-to-head races against computer-controlled opponents. These events generate random short races that rarely deliver much excitement, and sometimes run into mismatch problems, such as an A.I. Ferrari going against your buggy. These races are sadly required to unlock specific street events. Changing in-game currency to fast travel is also a puzzling thing, but once events are in great abundance, you won't use it as much. 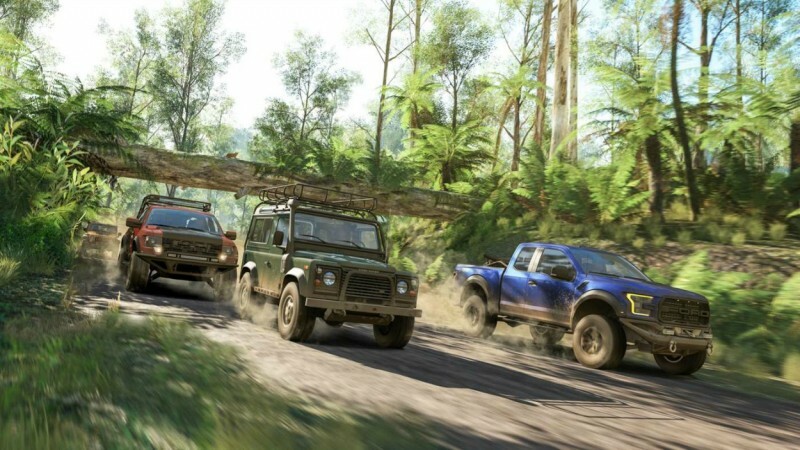 Forza Horizon 3 is a delight, and it’s one of those rare racing hybrids that should appeal to gearheads who want deep tuner options and people on the other end of the spectrum who just want exciting arcade-racing action. It’s this generation’s best racer, and my favorite Forza game to date.